Can You Travel to Canada with OVI? OVI stands for operating a vehicle under the influence or operating a vehicle impaired. The Ohio General Assembly began using the acronym instead of DUI or OMVI to better reflect the nature of the criminal offense which does not necessarily require the offender to be driving a motorized vehicle. Anyone who has been arrested or convicted of an OVI in Ohio may be criminally inadmissible to Canada and refused entry at the border if they do not have entrance permission from the Canadian Government. The Government gives permission to OVI offenders to cross the border via a Canada Temporary Resident Permit (TRP) or Criminal Rehabilitation (CR). Without being approved for a TRP or CR, individuals with an OVI on their record may be stopped at the border and denied entry to Canada. The United States and Canada share criminal databases, allowing the Canadian border to see your OVI arrest as soon as it happens. When it comes to border security, there is no presumption of innocence after a person is arrested for a crime. This means that an individual may be criminally inadmissible to Canada as soon as they are arrested for OVI even though no court disposition has yet been reached. Until someone charged with operating a vehicle under the influence can demonstrate to immigration officials at the Canadian border that a favorable outcome was reached, they may not be permitted entry to the country without special permission. If the accused is convicted of the offense in court, they may not be allowed Canada OVI entry even after ten years have passed since the completion of their sentence unless they are issued a Temporary Resident Permit or Criminal Rehabilitation. This is because impaired driving is now considered a serious criminal offense in Canada, so any conviction that equates to this crime can render the person inadmissible for life. Have an Ohio OVI arrest or conviction and want to go to Canada? 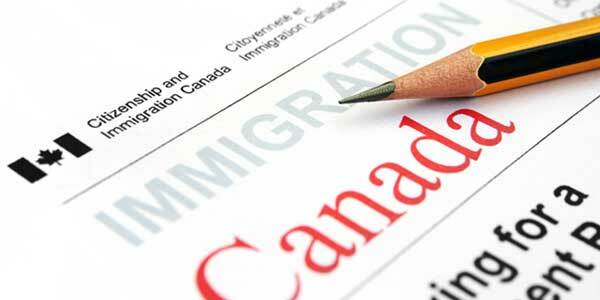 Phone us today for a free extensive consultation with a Canadian immigration law firm. Ohio's primary OVI law is found in the Ohio Revised Code (ORC) section 4511.19 - Operating vehicle under the influence of alcohol or drugs. A first offense OVI typically involves three days to six months in jail, a fine of $250 to $1000, and a license suspension of six months to three years. In lieu of jail, first-time offenders may be given the option to participate in a 72 hour Ohio Driver Intervention Program (DIP). A second offense OVI often involves ten days to one year in jail, a fine of $350 to $1500, and a license suspension of one year to five years. The penalty for a third offense is usually 30 days to one year of imprisonment, a Government fine of $350 to $1500, installation of a breath alcohol Ignition Interlock Device (IID), as well as a minimum one year of jail and a maximum of ten years hard time. A fourth offense for OVI typically leads to 60 days to one year incarceration, installment of an IID, a minimum fine of $800 but as large as $10k, and a suspended driver's license for a minimum of three years but possibly permanently. In Ohio, the sentencing package often offered to first time OVI offenders by the prosecutor is called "community control" and consists of a suspended sentence and two years of probation. An under 21 DUI, also called an underage DUI, only requires a blood alcohol content of .02% due to Ohio's strict no tolerance laws. Anyone less than 21 years old found to be operating a motor vehicle with a BAC between 0.02 and 0.08 may be charged with operating a vehicle after underage consumption (OVAUC). If you are less than 21 but have a BAC above .08 percent, you may be charged with a full blown adult OVI. Anyone charged with an OVAUC may be refused entry at Canada's border similar to OVI offenders unless they can prove their admissibility. If you have a commercial driver's license, such as a taxi driver, bus driver, or truck driver, you can be charged with an O.V.I. with a BAC of 0.04%. For everyone else that is 21 or older, you can be arrested for OVI with a BAC of 0.08%. You can also be charged for refusing to submit to a chemical test due to the state's implied consent law. Our Canada immigration lawyer is licensed to help residents of every state in the US enter Canada with an OVI. If you have received an OVI in Columbus, Cleveland, Cincinnati, Toledo, Akron, Dayton, Parma, Canton, Youngstown, Lorain, Hamilton, Springfield, Kettering, Elyria, Lakewood, or any other area of Ohio and are interested in traveling to Canada, contact us today for a free consultation.